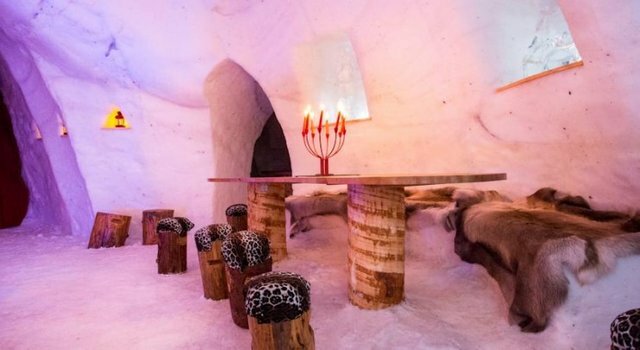 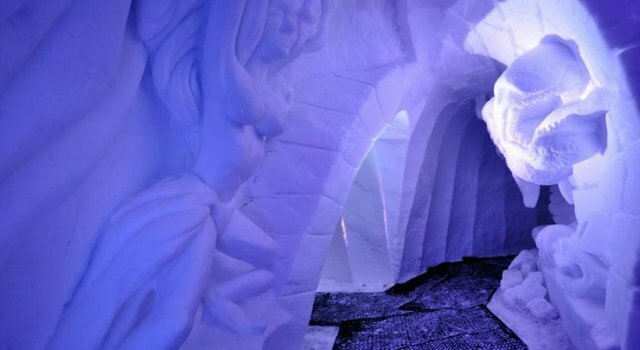 Found in Avoriaz – a popular skiing resort – the ice hotel is situated right next to the ski lift. 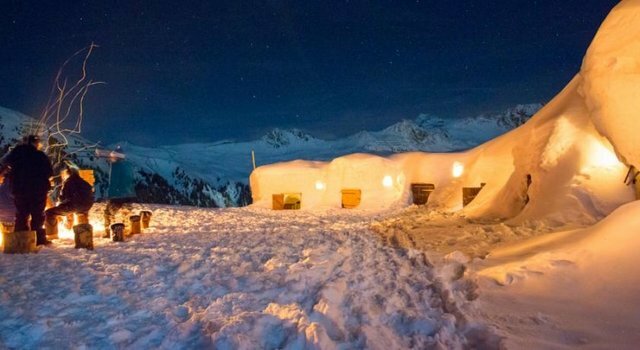 Guests are offers a snowshoe walking tour around, an aperitif, dinner and breakfast. 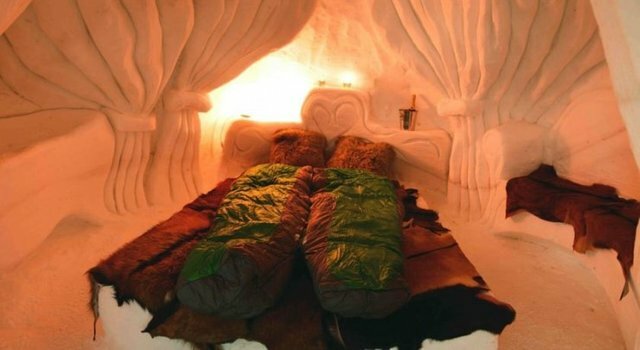 They are staying in ice bedrooms and are being provided with the polar expeditions sleeping bags to ensure a warm and cozy good night rest.